Apple’s next event is September 9 and there’s lots of speculation about what they’re going to announce. iPads! iPhones! Apple TV? 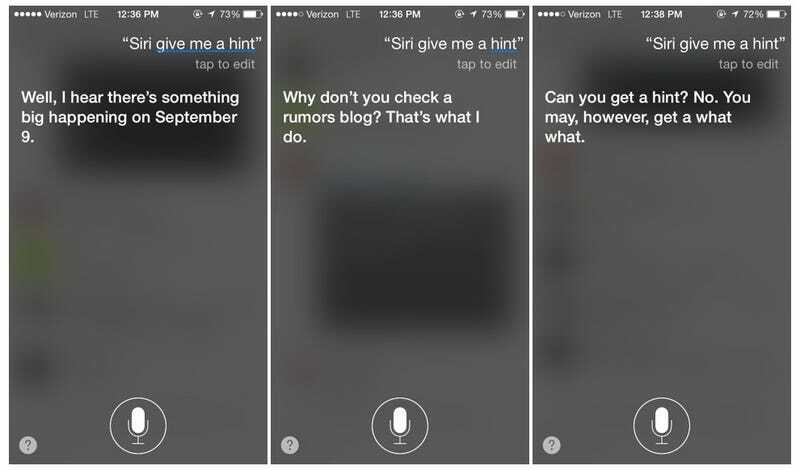 Instead of hanging your head about wondering, why not just ask Siri? Well, she’s not telling, and she’s actually being quite coy about the whole thing. Here are just a few of the different answers we got when we asked her to give us a hint. Have you gotten any such sass back from Siri? Those are all good but this one is the best by far. Who knew Siri was a Tostitos fan!